The boys golf team is currently facing a rough year as they have only won one match. Captain Spencer Haney (‘19) says he has a “very fun time playing with the boys everyday” despite their losing season. Girls soccer has started their season with an excellent few games as well as tough losses. Rachel Madison (‘19) said this season has been “alright” and they hope to make the playoffs later this fall. Leon Johnson (‘19), commented on the friendships and close knit family the football team has created this year. They have faced a few tough defeats but look forward to the remainder of their season and hopefully playoffs. The tennis team has currently won a single match. Despite the rough season, Captain Emmanuel Nguyen (‘20) has tried his best to make this season enjoyable. “Our goal is to win a league match,” Emmanuel said. The varsity Cross Country team have performed well at meets. 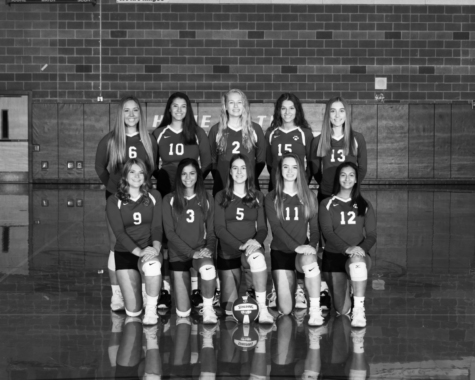 Their season started with a dual meet against Eastlake and Inglemoor; they won to Inglemoor and lost to Eastlake. Their main goal is to qualify for the state meet. The girls swim and dive team has accomplished a lot this season, Maya Crans (‘19) scored high in the 100 freestyle. Sarah Nishimura (‘19) andMaggie Dempsey (‘22) scored 1st and 3rd in the diving portion. The girls lost a meet to Redmond, but they won’t let that stop them. Our volleyball team has faced a lot this season. When they played against Inglemoor, they won at 92%! Later, the girls played Newport and won scoring 25-17. They are really competitive out on the court.